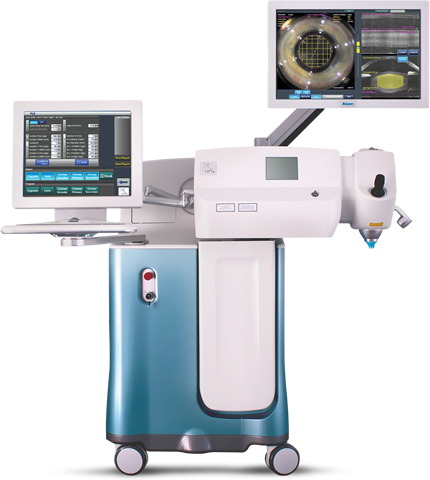 In keeping with our commitment to provide our patients with optimum care, Dr. Deborah Bernstein and her staff provide patients with the most up-to-date techniques and technology in laser vision correction, assuring the safest surgery with the highest degree of predictability and precision available today. By reducing and even eliminating the need for glasses and contact lenses, LASIK and PRK surgeries have improved vision for millions of people. LASIK, or Laser in-Situ Keratomileusis, involves using a laser to reshape the cornea to treat near-sightedness, far-sightedness and astigmatism, reducing the need for glasses and contact lenses. Using a combination of the IntraLase® femtosecond laser to create a precise corneal flap and CustomVue wavefront technology, we can offer 100% blade-free, precise, individualized treatment. PRK, or Photorefractive Keratectomy, is similar to LASIK except that there is no corneal flap created. Instead the outermost layer of corneal tissue is removed prior to applying the laser to re-shape the cornea. Some patients are better suited for PRK over LASIK. All LASIK and PRK procedures are performed by Dr. Deborah Bernstein. Dr. Bernstein is a board-certified ophthalmologist specializing in cataract and refractive surgery at Medical Eye Associates. She personally handles every step of your care including the initial evaluation, the laser vision correction surgery and all post-operative appointments. Her use of the IntraLase® and WaveScan technologies enables patients to achieve their personal best vision. Every eye is different and everyone has unique visual needs. If you are interested in reducing or eliminating your dependence on glasses or contact lenses, make an appointment for a thorough eye examination. Together, you and Dr. Bernstein can determine the treatment best suited for your lifestyle needs.